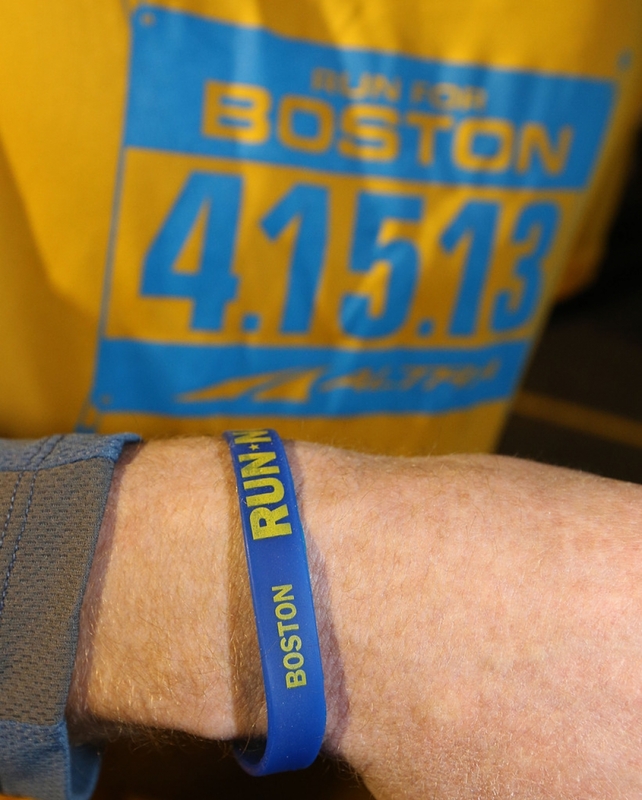 A runners wears a bracelet to honor the victims of the Boston Marathon bombing before the start of the Salt Lake City Marathon on April 20, 2013 in Salt Lake City, Utah. Due to the bombings at the Boston Marathon on April 15, security was dramatically increased by law enforcement and Utah National Guard at the Salt Lake City Marathon. Organizers are asking spectators to leave backpacks at home. - high-definition photo for free download.